Aqua Garage Services in Milton, Portsmouth, supply professional tyre services to private and commercial customers throughout Portsmouth, Southsea and Hampshire. We are a private, independent garage with decades of experience. We don’t charge dealership rates, we are friendly and approachable. If you’re unsure of the condition of your tyres, call us on 023 9286 4835 or call in at 110 Eastney Road, Portsmouth, PO4 9HZ and we’ll make sure your vehicle is safe. Tyre punctures can be annoying, but they can also be very dangerous. Sometimes small punctures can be repaired and most punctures are not catastrophic, but let Aqua Garage Services check your damaged tyre for you. If it’s repairable, we’ll repair the puncture. 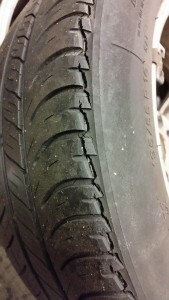 If we deem it beyond repair, we can supply and fit new tyres at reasonable prices and with a quick turn around. Aqua Garage Services supply and fit all major tyre brands. 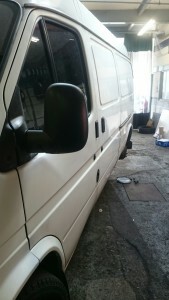 We offer a quick turn around service and professional tyre fitment services for both car and commercial vehicles. We don’t supply cheap brands of tyre which are prone to failure. 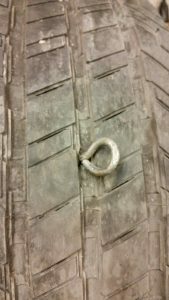 We recently had a regular Ford Transit van customer who had fitted cheap replacement tyres and was complaining about the vehicle weaving dangerously in windy conditions. 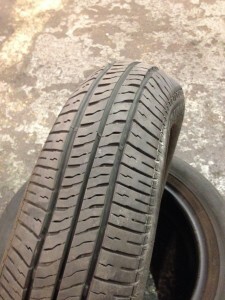 We traced this issues to the tyres, which were replaced with good quality branded tyres and this solved the issue.